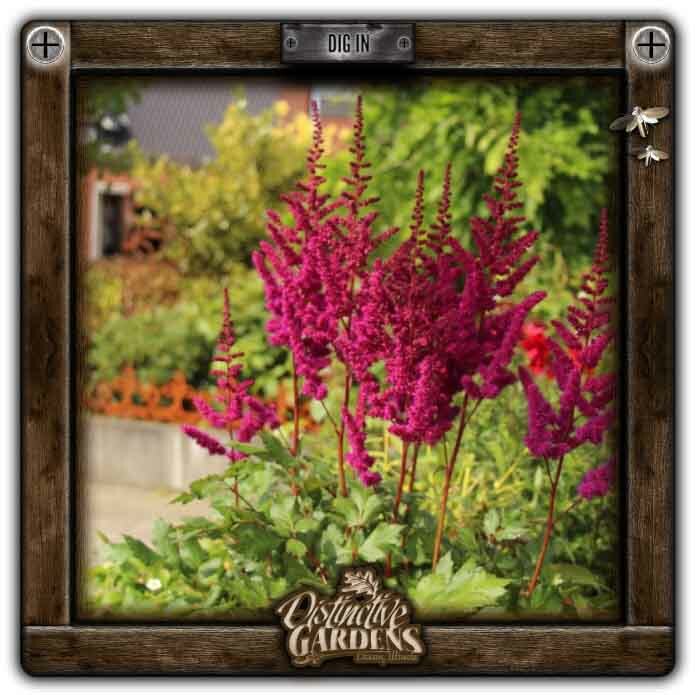 ASTILBE Visions in Red gal. Deep red buds open to a pinkish red flower on dense fuzzy plumes. Red stems and bronze foliage.